This wheel is from a 97 2WD Ranger that was in a fender bender accident when the truck had less than 1000 miles. It was replaced by the body shop for cosmetic reasons. There are small scratches on the tire and a couple of minor blems on the wheel lip - less than the typical curb rash seen on many wheels. Anyway, it is quite presentable and I don't want to scrap it if it is of use to someone. AS-IS of course but, for what it's worth, I drove it to the body shop without incident. Currently has the original tire on it and it has been holding air for nearly 20 years. Probably should not use the tire due to age and scratches but that's up to the new owner. Tire is AS-IS, same as the wheel. This a 14x6 wheel. 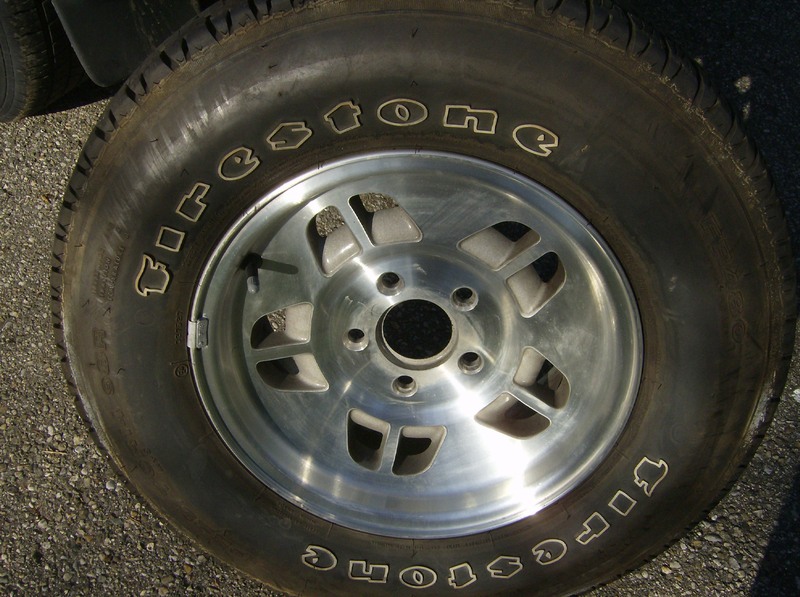 Ford also made a 15" wheel that was similar but obviously not interchangeable. The center opening is small. I suspect that it may fit 2WD TIB Rangers only but I'll leave it to the new owner to research that. The wheel/tire is available for pick up only in the Ann Arbor, Michigan area. I'm not going to ship it so please don't ask. If you want it, you take both the wheel and the tire together. Act now before I get tired of looking at it and it goes to the scrap yard.